First day of my staycation, and we went to see “Murder on the Orient Express” at the Alamo Drafthouse. 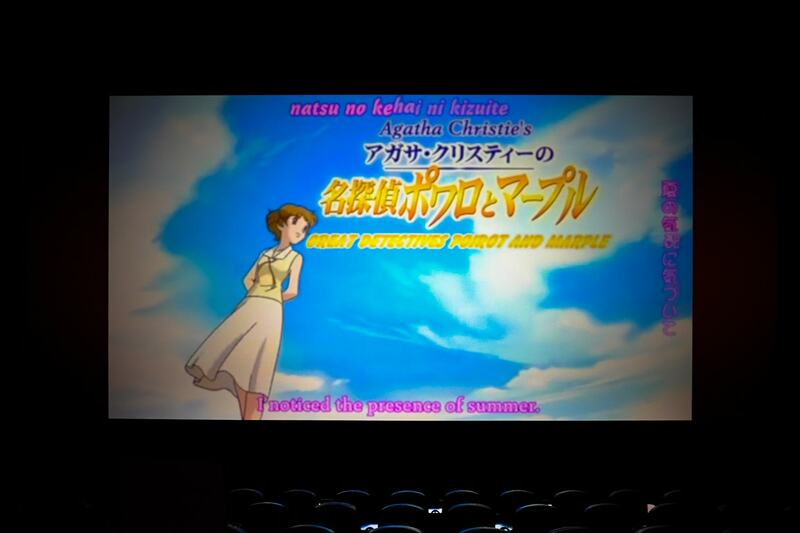 It’s always fun to see a movie there because they show the funniest stuff on the screen before the movie starts. For this movie, there were some choice clips of old Agatha Christie-related shows and movies. In the photo above is a Japanese anime. It looked pretty cool, actually!